Do you need to escape into the pages of a good old-fashioned mystery with a genealogical twist? Then let me introduce you to author, Nathan Dylan Goodwin, and the fictional Morton Farrier, forensic genealogist. I’d been hearing about Nathan’s books for some time, but missed meeting him at RootsTech 2018 when he made the journey across the pond to hob nob with fellow genealogists. I decided the first book in his series, Hiding the Past : A Genealogical Crime Mystery, would be perfect for our fall book club selection. There is something about settling down by the fireplace on a dark, cold evening and losing yourself in a thrilling mystery. Hiding the Past did not disappoint! I was engrossed from the very beginning and loved how the modern day main character Morton Farrier used his research skills (even DNA) in tracking down the truth behind a crime and a mystery that began in World War II England. Hopefully our research will never involve us in something more dangerous than pulling a heavy book off of a shelf, but I have to admit I enjoyed reading Morton Farrier’s adventures as he closed in on the culprit of the crime. With DNA being using to track down past cold cases in the news, this scenario is actually more close to reality than fiction. The best part of discovering a new author, is finding that there are more books in the series and more coming. Nathan has several novels with Morton Farrier as the main character as well as non-fiction books. You can find out all about his books at his website. I reached out to Nathan, interested in knowing his background and how he became interested in genealogy and writing. 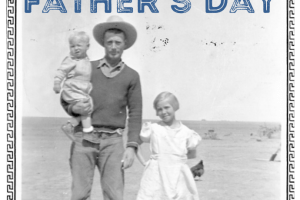 Enjoy this insight into a fellow genealogist and a successful author. How did the main character Morton Farrier come to be? Morton made his first appearance in 1998, when I had to write a script for the media course, which I was studying at the time. The script was called “Ghosthunter” and Morton Farrier was the eponymous hero! I don’t now recall where I got the name from at the time, but it stuck with me, and when I was studying for my Masters Degree in Creative Writing and I began what would become Hiding the Past, the name returned to me! What inspired the plot of the book? I’ve always had a bit of a fascination with the Second World War. So I wanted to write something where the modern day (2013) was linked to this war via a crime, which Morton Farrier could solve using genealogy. The fictional story, which I wrote, has its basis in fact: there were, according to MI5 files at the National Archives, several hundred British Nazi-sympathizers, who wanted a German victory and were working in Britain to this end. What kind of research went into writing Hiding the Past? The research for all my stories involves reading giant stacks of books, visits to cemeteries, museums and libraries and, of course, visits to genealogical archives and repositories. Since Hiding the Past I have included even more specific genealogical records, which, although containing fictional content, are real and accessed in the way in which I described. Anything Morton does, I’ve done it first! Where do you get your ideas for future books? I’m always on the look-out for potential story ideas. I currently have very vague ideas for the next 3 books in the series. The ideas come from a variety of sources: news stories with a historical aspect often spur my imagination. Interesting people, facts or documents often present themselves when conducting my own genealogical research. For example, my fourth book, The America Ground came about when I discovered the (true) story of how a group of around a thousand people, living on land reclaimed from the sea off the Hastings (Sussex, England) coast, claimed that the land was not part of England and was in their eyes, therefore, free from taxation. They declared themselves to be the twenty-fifth state of America and raised the Stars and Stripes! Around that amazing true story, I wove my own fictional tale! How did you get started writing your novels? Once I’ve settled on the rough outline of the next story, I then begin a fairly intense period of research. I usually get hold of as many books on the subject as possible, making copious amounts of notes, as I read them. The notes for my last book, The Wicked Trade (about smuggling on the Kent and Sussex border in the 1820s) ran to over 100 pages. My next step is to visit potential locations, including record offices and archives, where I start to build up specific and real genealogical resources. Finally, after that the writing can begin! Almost always, though, I will need to add to the research during the writing process. Several top-up trips to the National Archives is not at all uncommon! How did you get started in family history? Do you remember an initial “spark” or incident that inspired you? Did you have any experiences as a child/teen in school or at home that helped you be more inclined toward family history? I got started in family history around the age of twelve. My maternal grandmother had a fantastic collection of family photographs and scrap books, and so I began (badly) drawing up family trees, not really having a clue what I was doing, but enjoying it all the same! 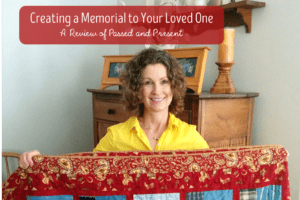 Her family had lived in and around the same area for a very long time, so childhood walks around the local cemetery always included visits to my great-grandparents’ and great-great-grandparents’ graves, as well as other extended family members. I remember interviewing the oldest living relative at the time, my grandmother’s aunt, Elsie (born in 1895), who filled in a lot of information about the tree above her. After her funeral in 1992, I gathered up all of her unwanted photographs and family documents! What mentors influenced you to get started in family history and genealogy research? To be honest, when I started out, I didn’t know anybody involved in genealogy and when I started to research my family history more seriously from 1998, I had to find my own way, which has actually given me a good grounding in the basics before so much went online! What personality traits, hobbies, or professional pursuits have helped you in your genealogy research? Funnily enough, writing and genealogy complement each other very well. Obviously, I apply my genealogical knowledge to my writing, but I think the process is actually two-way in that the writer in me is constantly looking for more than names and dates in genealogy; I want to know the backstory behind the people. 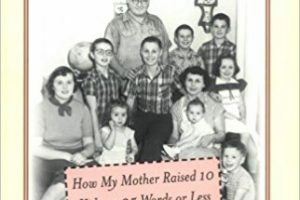 When my half-aunt asked me to track down her biological father, I wanted to find more than just his name and family circumstances, so I set about researching how he and my paternal grandmother might have met in 1942, where they spent their war years and trying to piece together as much information about this secret aspect of their lives as I could. Their stories, and the process of finding out who was my half-aunt’s biological father, were so interesting that I have written it up as a non-fiction book, Finding Henry, which is currently scheduled for release in January 2019. Why do you do genealogy? Why do you think it’s important? It’s an addiction! I do it because I can’t stop! Seriously, I do it because I love to know the lives of my ancestors and I think it’s important that their forgotten stories get retold and preserved—even if only among a small number of interested family members. What is the most rewarding part of researching your family’s history? For me the most rewarding part of researching my family history is that moment when they cease to be a name above a birth-death date; that moment when my research has brought them to life. I might have found a photo of them, touched the font in which they were baptized, read their school records or military service records, stood outside somewhere that they called home, or visited their graves and maybe met a previously unknown descendant. What has been the most difficult part of your genealogical journey? The most difficult parts are thankfully in the past! Back in the late 90s, when almost nothing was online, I would spend hours of time trawling through birth, marriage, and death records at the Family Records Centre in London, doing what I can now do online in a matter of seconds. My current difficulties are trying to work through all my DNA matches to solve my Goodwin brick wall! Since 2005, I have registered the Dengate name (my maternal grandmother’s maiden name) with the Guild of One-Name Studies, so this is one of my main focal points. I’m also working on various other names within my family tree (Goodwin, Edwards, Ellingham and Gingell being the most prominent). I’m very interested in genetic genealogy, both for my own research (and helping a couple of adopted friends trace their biological families) and also for my writing. How do you preserve your family history? Everything is meticulously filed in acid-free sleeves in a fire-proof storage box…in my dreams. The reality is embarrassing: quantities of boxes, brimming with a mixture of unfiled documents, letters, photographs and notes, which I perennially vow to organize and annotate. I use Ancestry for my family tree and I have digital documents stored on a hard-drive and cloud. All-in-all, not a very good example of how to preserve family history, though I aspire to better. What is your favorite way to share genealogy and family history with others? I think non-genealogists can sometimes be overwhelmed by the complexities of the subject, so I tend to share interesting snippets and snapshots on my Facebook page, Instagram page or Twitter page about interesting individuals and, if anyone is interested in more detail, then I will gladly provide it! If you had all the time in the world to spend on family history, what would you do? Sort my files out first and foremost! Then I would take my ancestors one by one and explore every last aspect of their lives until I felt that there was nothing more to find! I would travel the world in their footsteps! And I would get everybody in my family DNA-tested and attach them all to the correct family groups. What’s the best discovery you’ve made about your family? My greatest discovery actually only came about in the last few months but it’s a real skeleton in the closet, which I’ve been sworn not to reveal! Who is your most interesting ancestor? I think, because the vast majority of my ancestors stayed around the South of England, it would have to be my 4x-great-grandmother, Louisa Roakes, who came from somewhere far more exotic. She was born on the island of St Helena (a British territory off the West Coast of Africa) in 1871 and married my 4x-great-grandfather, Samuel Angus Ellingham, a solider in the Royal Scots in 1887, before they moved to England to raise a family of nine children. Geography aside, Louisa is also interesting to me because there are several unsolved mysteries surrounding her life, the most notable being from where her family originated, as St Helena appears to be doubtful. Another of her mysteries is that her birth certificate does not specify her surname, but says that she is the daughter of Edward Roakes and Elizabeth Everton, his wife. This birth entry, however, is also claimed by another researcher to be that of his grandmother—a clearly different woman to ‘my’ Louisa. Confusingly, when ‘his’ Louisa married John Daley (also a soldier from the Royal Scots) in 1888, she gave her name as Louisa Everton on the marriage certificate. The UK 1939 Register reveals both women to have been born on the same day on St Helena. To complicate matters, this researcher and I match as 4th-6th cousins on Ancestry! Perhaps a trip to St Helena will resolve the riddle…¬ Any excuse! Nathan Dylan Goodwin is my favorite author and Morton Farrier is my favorite fictional genealogist. I was fortunate to meet Nathan at RootsTech and I was actually giddy when I met him. Isn’t he adorable? If you thought “Hiding the Past” was good, you will love the rest of the books in the series. They just keep getting better and better. And don’t skip the novellas. They give you more insight into Morton’s personal journey. Can you tell I’m a big fan? That’s fun that you met Nathan! I’m looking forward to reading the rest of the books.